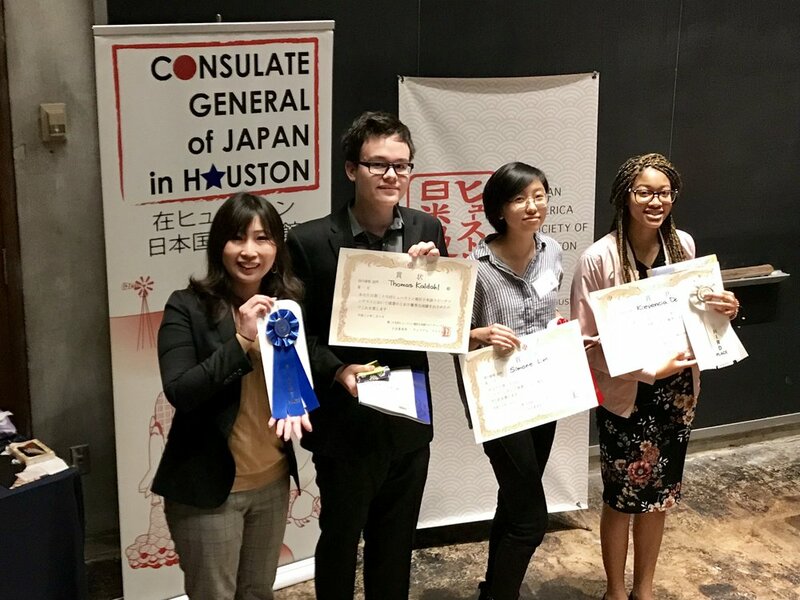 On Saturday, February 10, 2018, Japanese language learners from across the Houston region came together at the University of St. Thomas to compete in the 29th Annual Japanese Language Speech Contest. Thirty-eight (38) contestants demonstrated their Japanese skills in the areas of (i) POETRY RECITATION, (ii) HAIKU, (iii) FREE SPEECH WITH TEXT, (iv) FREE SPEECH AURORA, and (v) FREE SPEECH COLLEGE/UNIVERSITY. "Otsukaresama" to all participants and "omedetou" to all winners. Winners are listed below by division. Those placing in the top two will move on to the TEXAS STATE JAPANESE LANGUAGE SPEECH CONTEST, which will be held on March 10, 2018.